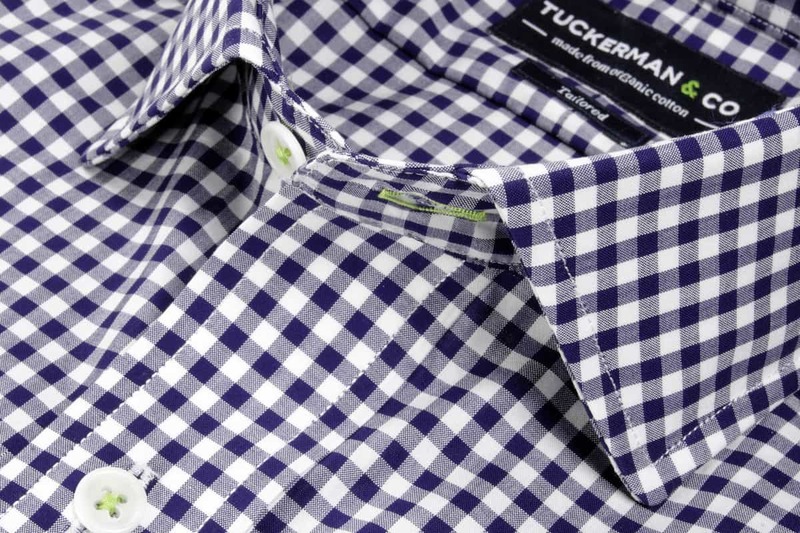 Using sustainable cotton and production based in Massachusetts, Tuckerman & Co. make shirts that look good and do good. Trending is so deftly sought after. The internet has spawned a whole job market focused on the art (or accident) of how to trend. Refreshingly, Jonas Clark and Amanda Rinderle of the Connecticut-based Tuckerman & Co. don’t need any clickbait help. Organic Italian cotton dress shirts with modern silhouettes are Tuckerman & Co.’s exhibit A on the profitability of the growing slow fashion movement. With a sustainable fabric choice and use of local production resources, their profitability is not just for the company. Of their customers, Clark says, “they like the feel-good of what we’re trying to do, but also just the quality. They know their shirt is going to last”. This is no accident, Tuckerman & Co.’s shirts are art that’s worth trending. Amanda Rinderle and Jonas Clark of Tuckerman & Co. | Photo courtesy Tuckerman & Co.
After securing their fabric mill, they turned their sights on New England for production. Both hail from the Pioneer Valley in western Massachusetts and both attended Yale Business School, so they are familiar with, as Clark says, the “really long history here of textile production”. And lo, tucked into historic Fall River is a garment production gem that’s been producing high quality clothing since the 1870s. The factory is a major source of jobs for the Fall River community and is one of the more feel-good examples of a business on the rise after having briefly halted production during the recession. “They started back up with just six people but they’re up to 65 now,” Clark says fondly. 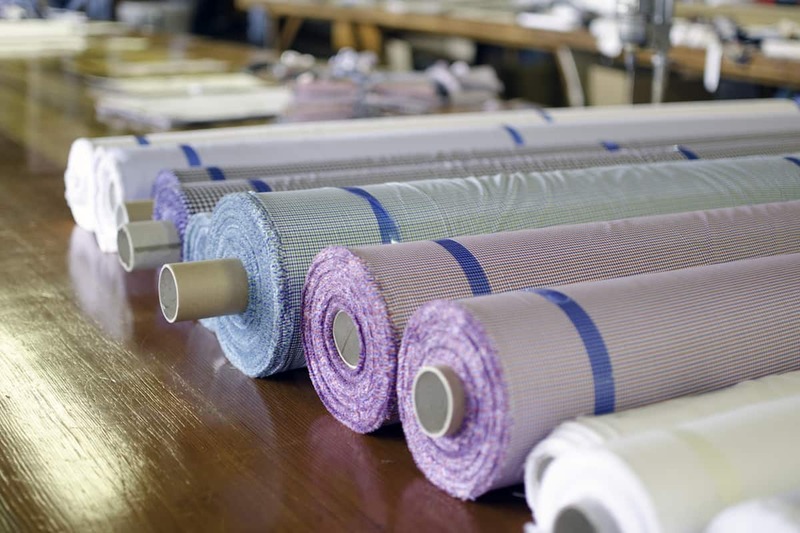 Italian Fabric Rolls | Photo courtesy Tuckerman & Co.
Tuckerman & Co. shirts are on sale now at their website and Clark says they have growing customer bases in the West Coast and Canada. Clark tantalizingly hints at expanding fabric choices and possible collaborations, and yes, they are expanding into women’s shirts soon. Top photo: Tuckerman & Co. Navy Gingham Check shirt | Photo courtesy Tuckerman & Co.